Whether you’re 5, 25, or 55, there’s something for everyone in Commencal’s new 2017 product range. While most brands seem to focus on eeking out every minor performance advantage by tweaking wheel size and axle width, Commencal is taking a wider view. The French company has a range of high end performance bikes that compete at the highest levels of the sport, but they also offer affordable bikes that rip. For the 2017 model year they’ve taken the unusual step of re-introducing several older models and giving them updated geometry and parts spec. 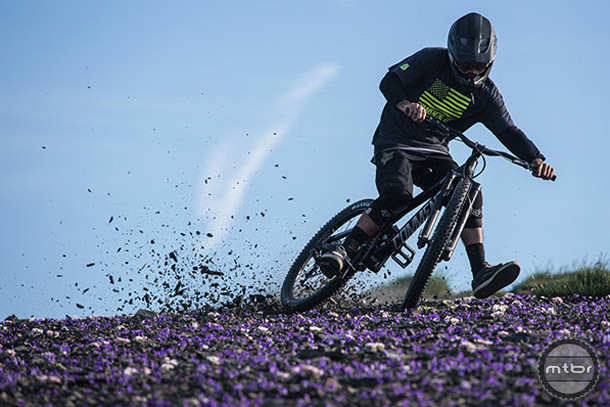 This move allows them to offer bikes that shred at prices that are hard to belive. The Meta SX V3 is one of the most affordable 160mm travel enduro bikes on the market. 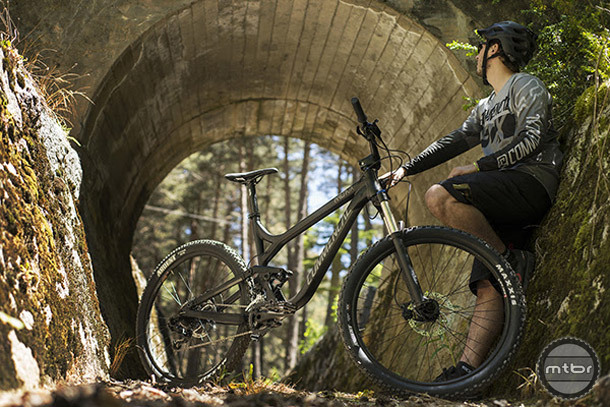 The Meta line is Commencal’s answer to the Enduro scene. The brand’s flagship is now on its 4th iteration, but they’ve decided to re-release the V3 version. This allows them to hit a more affordable price point, while still offering consumers a killer deal. While the Meta SX V3 was originally released in 2012, it had a forward thinking geometry that ensures it’s still fun years later. For just $2,199, you get a complete that’s spec’d with a RockShox Lyric fork, a RockShox Monarch Plus shock, and a SRAM NX 1x drivetrain. The best part? They haven’t “updated” it with boost spec, so your “old” parts will play nice. The new Meta TR V3 is based on the XC-oriented Meta SL, but has been updated with new geo and product spec and is now trail ready. The new Meta TR V3 follows the same formula as the Meta SX V3. Take a great frame that was first sold a couple of years ago, update the geometry, and make it affordable. The original Meta was more of an XC/trail bike and had 120mm of travel front and rear. The revised Meta TR now boasts a 140mm fork and 130 mm of rear travel. 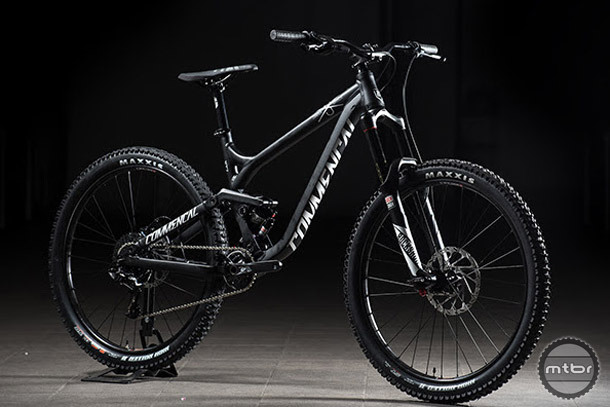 They’ve also tweaked the suspension kinematics to work better for beginner/intermediate riders and slackened out the headtube from 68 degrees to 66.5. 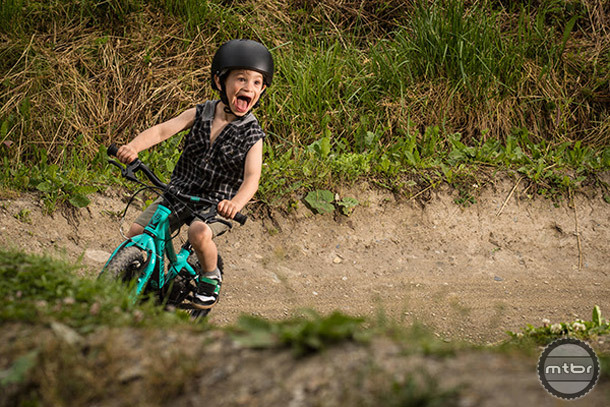 Commencal offers a wide range of kid-specific bikes. They’ve got everything from push bikes to full suspension. 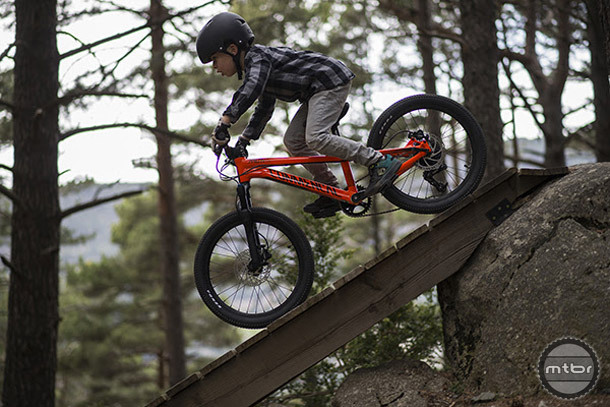 Commencal boasts one of the widest ranges of kid-specific mountain bikes on the market. For 2017, they’ve revised the suspension, refined the geometry, and improved the ergonomics across their entire range. Designed for teenage rippers, the HT JR would also be a great option for height challenged adults. 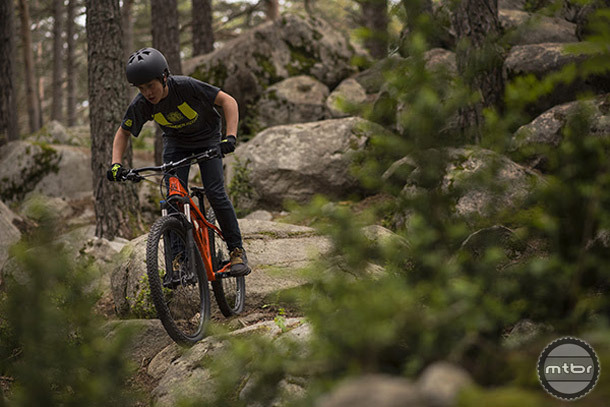 They’ve also introduced a new hardtail, the Meta HT JR. It’s targeted towards kids and teens between 4’9” and 5’5”, which also makes it ideal for shorter riders. The frame comes equipped with a 120mm Rockshox Recon air fork, 27.5” wheels, and a 2×11 drivetrain for just under a thousand dollars. For more info, visit www.commencal-store.co.uk. The new Meta TR V3 is based on the XC oriented Meta SL, but has been updated with new geo and product spec and is now trail ready. Commencal offers a wide range of kid specific bikes. They’ve got everything from push bikes to full suspension. The sub $1000 price point for the META HT (junior, albeit) is fantastic!!! Very decent fork, good 1x mech – well done, Commencal!